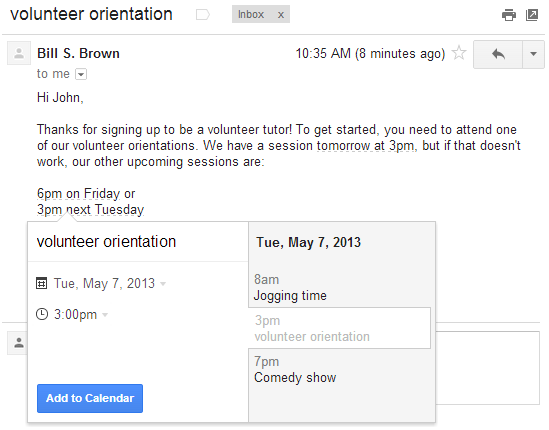 Google adds new feature to Gmail that allows users to add Google Calender events directly from Gmail. From now dates and times within your emails are lightly underlined. If you click on one of these underlined dates, you’ll be able to preview your schedule for the day and change the title, date or time of the event. Finally click on the "Add to Calender" button to add your events to Google Calender. This new feature is rolling out over the next week to everyone with the English (US) language. For other language users wait some weeks to this feature.